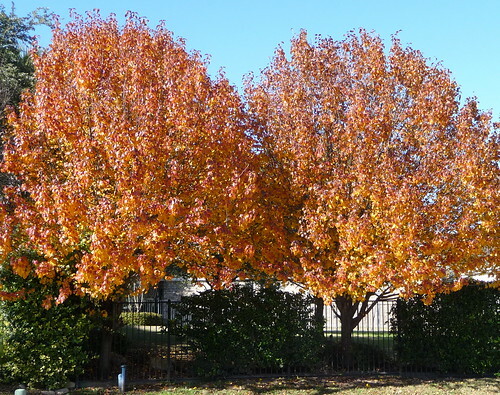 Here on the last day of fall I got out and about the neighborhood and snapped a shot of a couple showy Pear trees. This is about as good as fall color gets around here. This is probably either Bradford pear trees or Aristocrat pear trees. It probably won’t last long and we get so little of it that I can’t help take a picture or two. I think we had better color a couple years ago, but it was nice to see these.